The controversial oil and gas extraction method known as hydraulic fracturing, or "fracking," was regulated under an Obama-era rule addressing chemical disclosure when fracking public land. Since then, this rule has been overturned by the Bureau of Land Management (BLM), as the federal government opens the field of oil and gas extraction to much opposition. Fracking is a complex drilling and extraction process that involves targeting rock formations with millions of gallons of highly pressurized water with chemical additives that stimulate oil and natural gas flow. Fracking wells can go below land surface up to "hundreds of thousands of feet" and also horizontally cover thousands of feet around the targeted site. Water used to pressure the rock formation reaches gas and oil deposits through newly created rock fractures. Then about 60 percent of the water returns back to the surface, usually containing the injected chemicals and "brines, metals, radionuclides, and hydrocarbons." This water is then injected back into underground wells or stored in excavated pits, plants, and tanks. Ohio has some of the worst fracked wastewater disposal practices in the U.S., and storage of this water is a big controversy. New Mexico is trying to reuse fracking wastewater. Fracking requires huge amounts of water; chemicals can contaminate groundwater and air quality surrounding the fracking location. Critics indicate this contaminated groundwater can pollute drinking water. You may have already heard stories of flammable tap water in fracked areas. Even the Environmental Protection Agency’s (EPA) acknowledged fracking’s impact on quality drinking water. Another huge concern is fracking is linked to earthquakes. Officials report that on Nov. 29, an earthquake in Ft. St. John, British Columbia was most likely caused by fracking in the earthquake’s epicenter. In fact, Western Alberta and northeast B.C. have "high rates" of fracking induced earthquakes. Given the Trump administration’s anti-regulatory zeal, what is the current status of fracking in the U.S.? 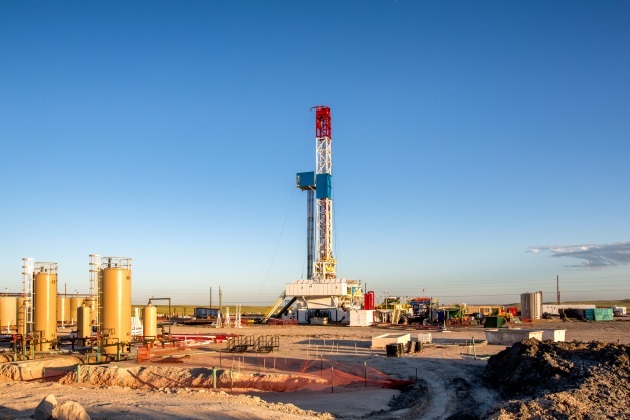 While fracking began in 1949, EPA-driven federal legislation impacting the practice has been limited, as the debate about state or federal legislation continues. In 2005, the Safe Water Drinking Act did not include hydraulic fracturing. There have been congressional attempts to regulate fracking through the Safe Water Drinking Act since then. During the Obama administration, the BLM fracking rule was scheduled to go into effect on March 31, 2016. This rule would curb greenhouse gas emissions by regulating fracking on federal, Indian, and public lands. Facing pending legislation, it never went into effect. When Trump took office, the BLM "published a proposed rule to rescind the 2015 final rule in the Federal Register on July 25, 2017." In California, the Trump administration is trying to frack on "400,000 acres of public land and 1.2 million acres of mineral estate overseen by BLM in California counties including Fresno, San Luis Obispo and Santa Barbara," according to The Sacramento Bee. However, this may be halted, since California Attorney General Xavier Becerra, a Democrat, is suing the Trump administration for endangering public health and the environment by rescinding the 2016 chemical disclosure rule. In early November, a California anti-fracking won a victory against permits for offshore fracking due to the contention that the Trump administration failed to properly consult wildlife agencies about fracking’s impact on marine mammals and fish. Some suggest regulating fracking at the state level is more efficient. States that have banned fracking include Vermont, New York, and Maryland. Texas and North Dakota provide half of all U.S. oil output. California, Wyoming, New Mexico, Alaska, Oklahoma, Colorado, Ohio and Pennsylvania are other frack-happy states. While the federal fracking battle continues, states and municipalities are left to pursue local regulatory initiatives like voter referendums and lawsuits. Colorado just voted down Proposition 112, which sought a 2,500 feet distance between drilling sites and any occupied building. Some western slope Rocky Mountain towns seek to stop fracking on 45,000 acres of land there. We see mounting global resistance to fracking in places like Western Australia, which just lifted a fracking moratorium to much outrage. In the U.K., fracking was banned after a 2011 earthquake was linked to the practice at Lancashire. Fall 2018 saw fracking return to Lancashire, and there were protestors there blockading the site entrance. Earthquake prevention, clean water, and fresh air are all good reasons to be weary of fracking, say anti-fracking activists.